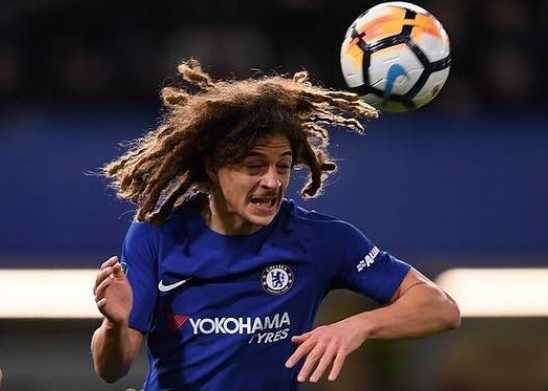 Ethan Kwame Colm Raymond Ampadu, generally known as Ethan Ampadu is a professional footballer playing for Premier League club Chelsea and the Welsh National Team as a center back. Ampadu also plays as a defensive midfielder. Ampadu started his football career from Exeter City. Premier League club Chelsea signed Ampadu on July 1, 2017. In November 2017, Ampadu made his debut for Wales. Former Manchester United manager Sir Alex Ferguson was desperate to sign Ethan Ampadu when he was just 12 years old. Sir Alex Ferguson was impressed by the wonder kid during a junior football tournament at Old Trafford in 2013. He wanted Ampadu to play and grow at Manchester United. Following the departure of Ferguson, and David Moyes and Ed Woodward joining Chelsea management, Ampadu signing interest faded away at Manchester United. Few year later, Chelsea successfully signed the wonder kid Ampadu in 2017. Ampadu was born on September 14, 2000, in Exeter, Devon, England. He is the son of former Republic of Ireland U21 international footballer Kwame Ampadu. Ampadu is a product of Exeter City youth academy. He joined Exeter City youth academy at very young age. Ampadu appeared for the U-18 squad of Exeter City just at the age of 14. On August 9, 2016, Ampadu made his senior debut for the club against Brentford at St James Park in the first round match in an EFL Cup. Ampadu was 15 years 10 months and 26 days old when he made his senior debut for the senior team. Ampadu stayed on the pitch for full 120 minutes with a 1-0 victory at the end. Ampadu became the club's youngest player to debut. He broke the 87-year-old record set by Cliff Bastin. Ampadu also won the man of the match in his debut match. The following week, he made his league debut against Crawley Town in EFL League Two. Exeter City lost 1-0 at home. Premier League club Chelsea signed Ampadu on July 1, 2017. Ampadu was just 16 years old when Chelsea signed him. Both the clubs had a massive disparity in the valuation of the player, which led to a tribunal. Both the clubs negotiated each other with compensation fee for the player. Ampadu made his Chelsea debut on September 20, 2017. Ampadu played his first game for Chelsea, against Nottingham Forest in an EFL Cup third round match. Ampadu came on as a substitute for Cesc Fabregas in the 55th minute. And Ampadu became the first player born in the 2000s to play for the Chelsea senior team. Ampadu also became the youngest player to debut for the club in over ten years at 17 years and six days old. Ampadu made his Premier League debut for Chelsea on December 12, 2017, against Huddersfield Town. He came on in the 80th minute. Ampadu's mother was Welsh born. Thus, he could play either for Wales, England, Republic of Ireland or Ghana. Ampadu chose to play for Wales National Team. Ampadu was called to the senior team of Wales ahead of their World Cup qualifier against Serbia on May 26, 2017. He was also called up again on November 1 to play friendlies against France and Panama. Finally, Ampadu made his senior debut against France on November 10. He came on as a substitute for Joe Ledley in the 63rd minute. Wales was defeated by France 2-0. The net worth of Ethan Ampadu is estimated to be around $13 million, according to the Forbes list for 2018. 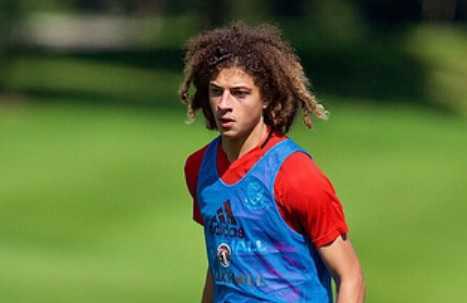 Former Chelsea player Pat Nevin hails Ampadu that he is worth as good as %0 million to 60 million pounds. Pat Nevin is really impressed by the young talent. Ampadu made his senior club debut when he was just 15 years 10 months and 26 days old.